Inequalities in income and opportunity continue to widen globally. According to the United Nations income inequality increased by 11 per cent in developing countries between 1990 and 2010 – if taking into account the growth of population. This has led to the reduction of inequalities to be a key element of the United Nation’s 2030 Sustainable Development agenda. Driven by the mission of improving lives by improving sight, we at Essilor contribute to the reduction of inequalities in two ways. Firstly, through inclusive business models which positively impact social and economic inequality through skills training and jobs creation. Secondly, through strategic-giving programs which continue to tackle the vision needs of marginalized communities who are excluded for a range of social, financial or other reasons. Reducing inequalities starts by giving children equal opportunities. Sadly these opportunities too often depend on the quality of education a child receives. But when approximately 80% of what a child learns, he or she perceives through their eyes, giving a child equal learning opportunities can start with something as simple as making sure they can see well. …giving a child equal learning opportunities can start with something as simple as making sure they can see well. If a child does not see well, they can lose their confidence, are likely to fall behind in class and are ultimately very unlikely to achieve their full academic potential. More often than not, children don’t know they can’t see well so won’t speak up, suffering in silence as they fall further and further behind until opportunities are closed off to them. Universal mandatory eye tests for children could stop this from happening and is the reason we create vision care programmes for children all over the world. Creating vision care programmes for children requires schools, eye care professionals, nonprofit organizations and community leaders to work together. Here are just a few examples of how we work with partners to improve equal opportunities for children through eye care. In one of our latest initiatives for children in Cambodia, our foundation in ASEAN partnered with Pour un sourire d’enfants, a local charity which for over twenty years has been operating in Cambodia to help children escape destitution and provide them with the professional skills required to enter the job market. To help these children succeed in school, we screened nearly 1800 children. Over one third of them needed vision correction and received a free pair of spectacles. Inequality is not only economic, it can also be physical in its origin. Children with albinism for example often suffer from exclusion – in particular if they live in countries where this condition is poorly understood. This is the case in Tanzania where Vision For Life – our strategic giving fund and co-founder of Our Children’s Vision – launched an eye care programme, dedicated to this community, together with Standing Voice, an NGO promoting the wellbeing and social inclusion of marginalized groups. 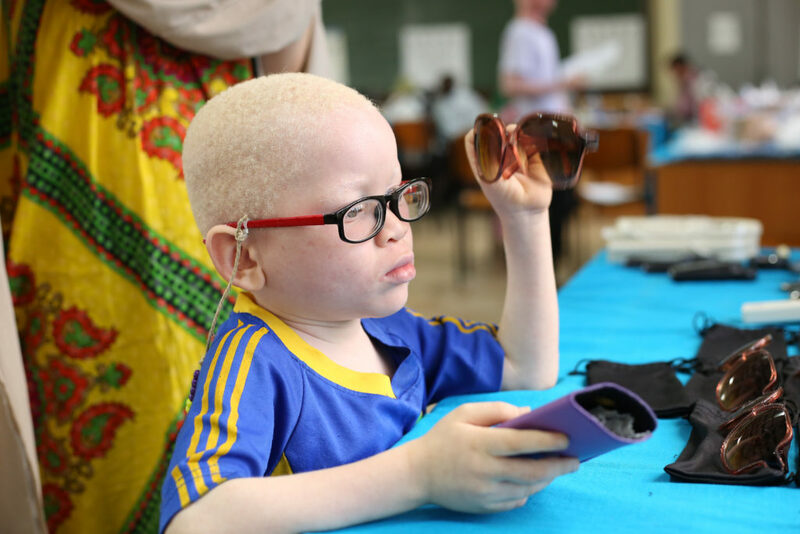 In the context of this partnership, over 1000 people with albinism, many of them children with unique vision needs, were screened in 2017. More than half of them were equipped with a pair of free glasses and almost 900 were provided with a pair of sunglasses to protect their eyes. And there is more to do in 2018. 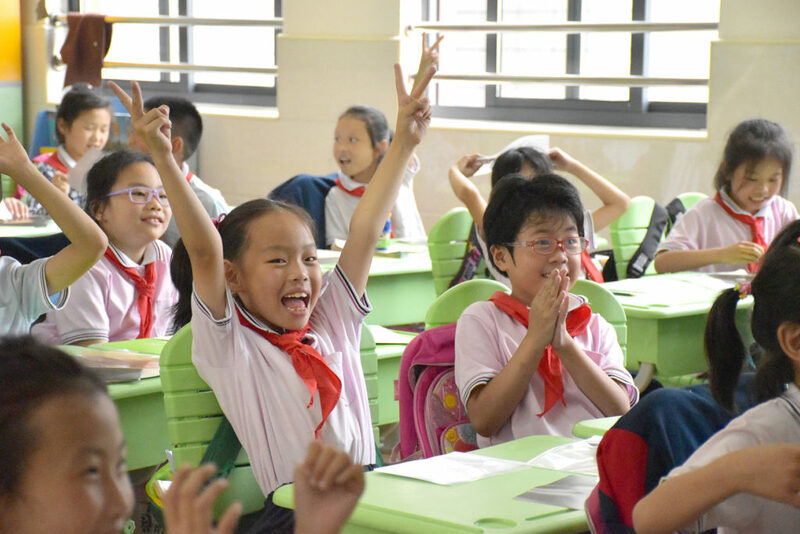 Children are also the focus of our foundation in China, where the myopia rate is rapidly increasing. By 2020 nearly 700 million people, twice the US population, will be myopic. The need to act is urgent. In the last two years, the foundation increased its outreach from 3 to 18 provinces and screened over 700,000 children of whom about 40,000 received a free pair of spectacles. One of the foundation’s most important local partner and also partner of Our Children’s Vision is Aier Eye Hospital Group, the largest private eye hospital group in China. Together we launched the Eye Do programme which trains teachers in Shanghai and Hunan to provide basic vision screenings. This ambitious programme has a particular focus on children from migrant families who are often excluded from many basic healthcare services. Over the next 4 years, the programme will be expanded to a further 20 provinces. I want to become a teacher, now that I can see clearly, I will study even harder to realize my dream. Seeing well, not only helps children to achieve better grades, it also encourages them to believe in their dreams: “I want to become a teacher, now that I can see clearly, I will study even harder to realize my dream,” Zhuoma, a school girl from Qinghai Province, when she received her first pair of glasses. We at Essilor and all the partners of Our Children’s Vision believe in a future where everyone can see well and are working with passion to get there. Originally published by Our Children’s Vision.